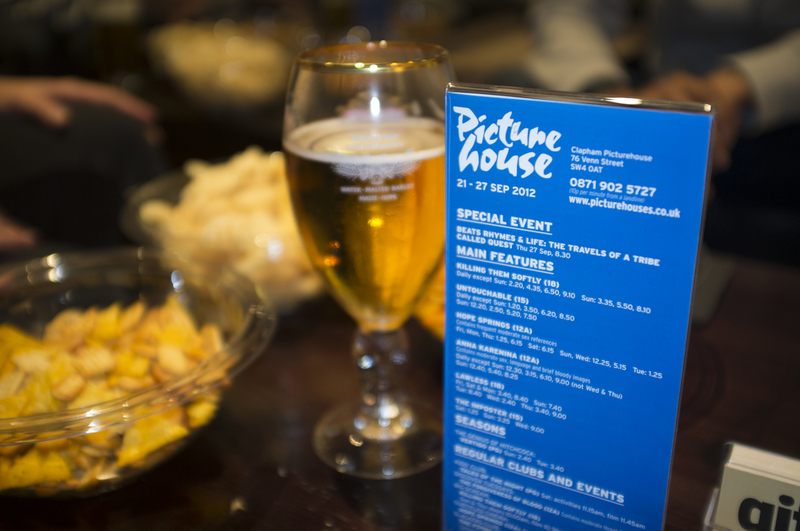 On Thursday 27 September, Permanent Plastic Helmet held our second screening event at London’s lovely Clapham Picturehouse. 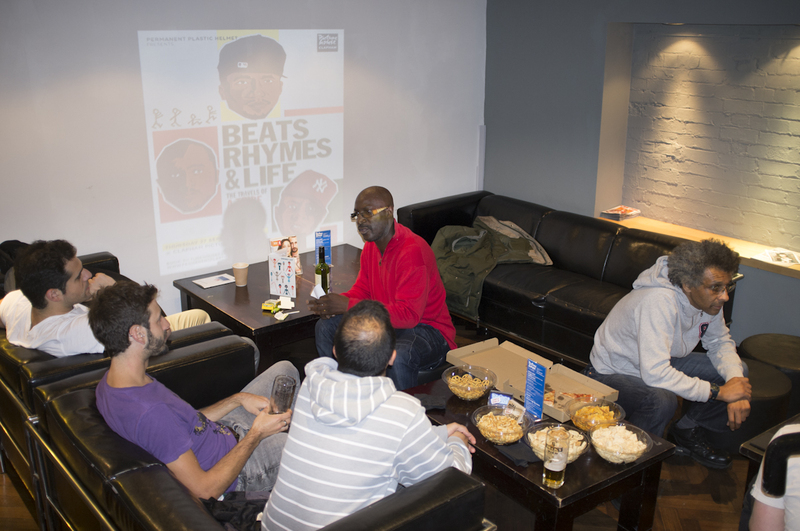 Following July’s packed screening of Spike Lee’s classic Do The Right Thing, we kept the vibe nice and retro with a rare showing of Michael Rapaport’s superb hip-hop doc Beats Rhymes and Life: The Travels of A Tribe Called Quest (courtesy of top UK indie distributor Soda Pictures). Ashley Clark (aka PPH, aka the person writing all of this) checks that his mic is on. It isn’t. 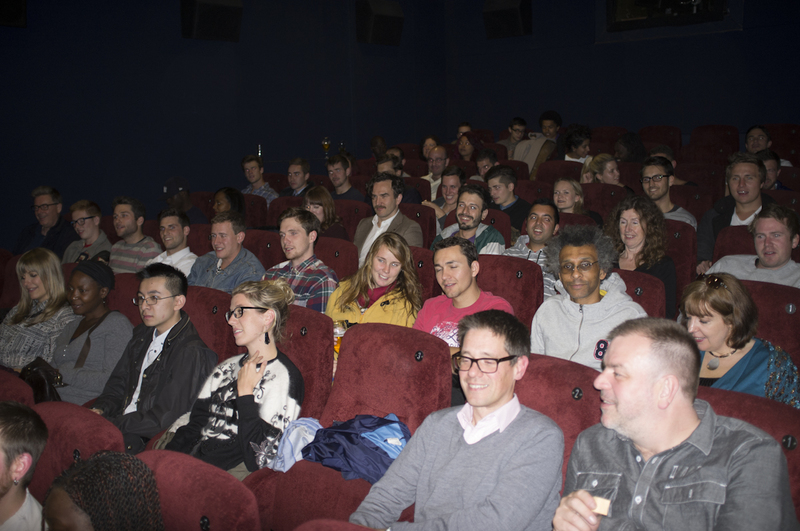 The flattering low-angle shot can only mean one thing… it’s raffle time! 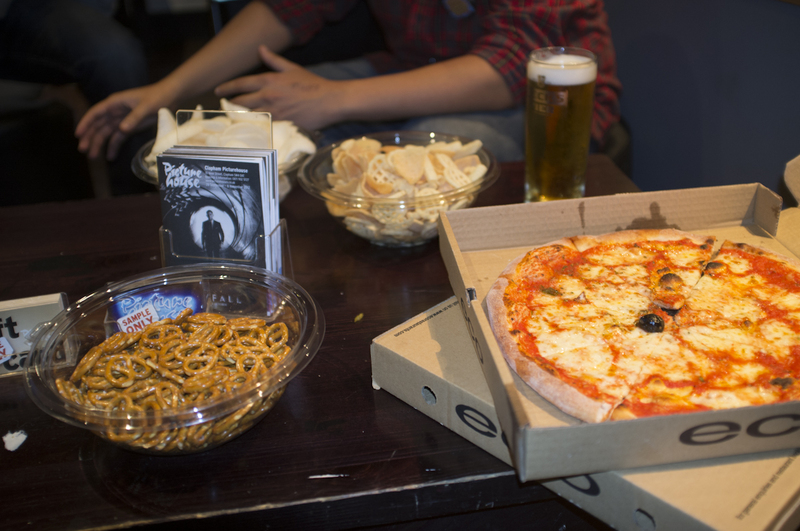 We had CD’s, DVDs, champagne, and a Picturehouse membership up for grabs. The sold-out crowd continues to enjoy themselves. 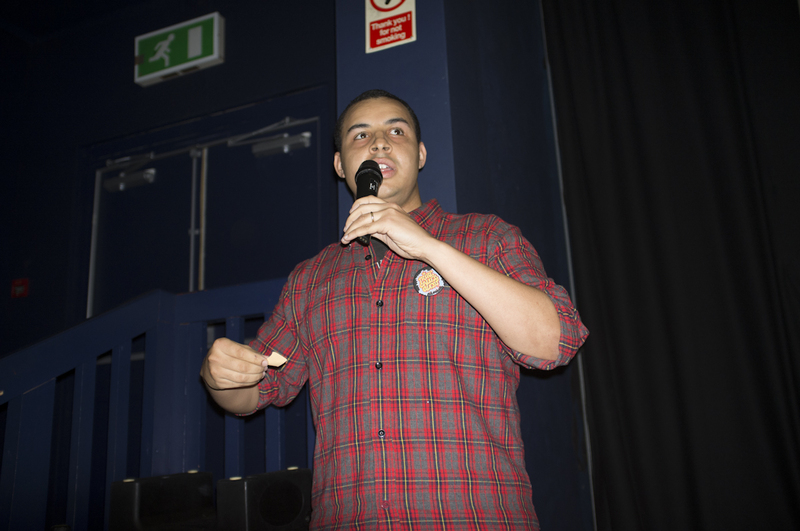 Thanks to everybody who came to what was a fantastic event with a great buzz about it. 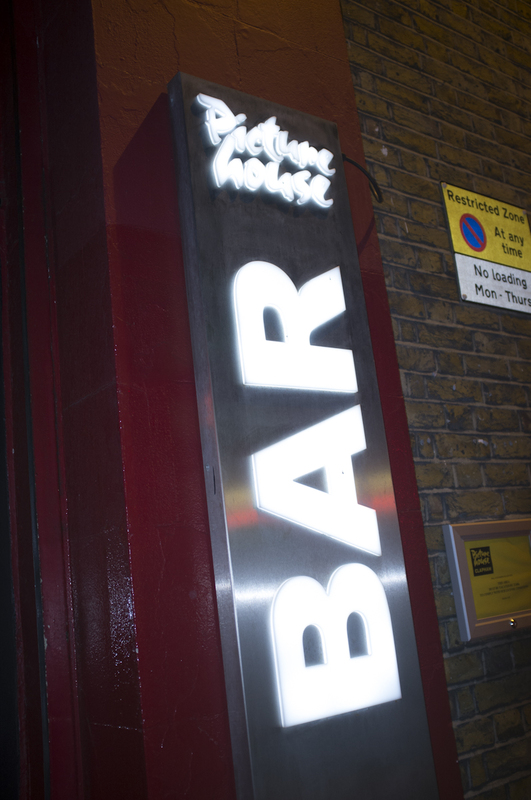 We’re busy planning our next event and you’ll be the first to know when it’s confirmed. 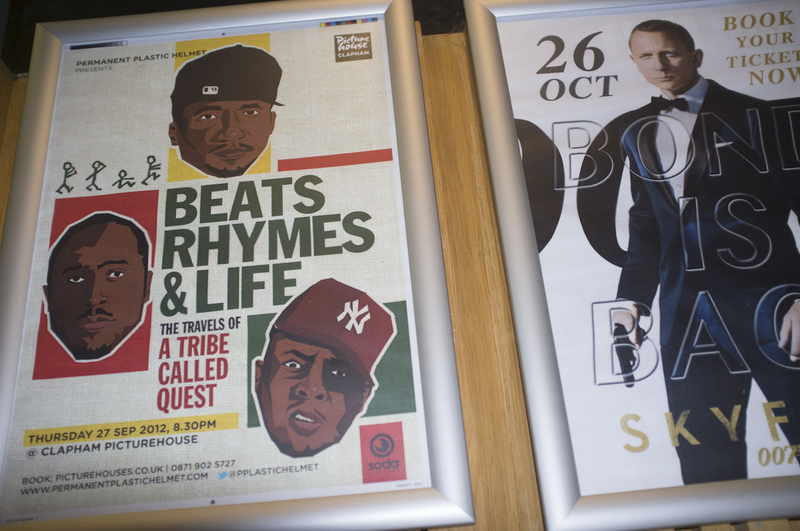 This entry was posted in Events and tagged A Tribe Called Quest, Beats Rhymes and Life, Clapham Picturehouse, event, film, PPH, Soda Pictures, Yves Salmon on October 2, 2012 by Ashley Clark. 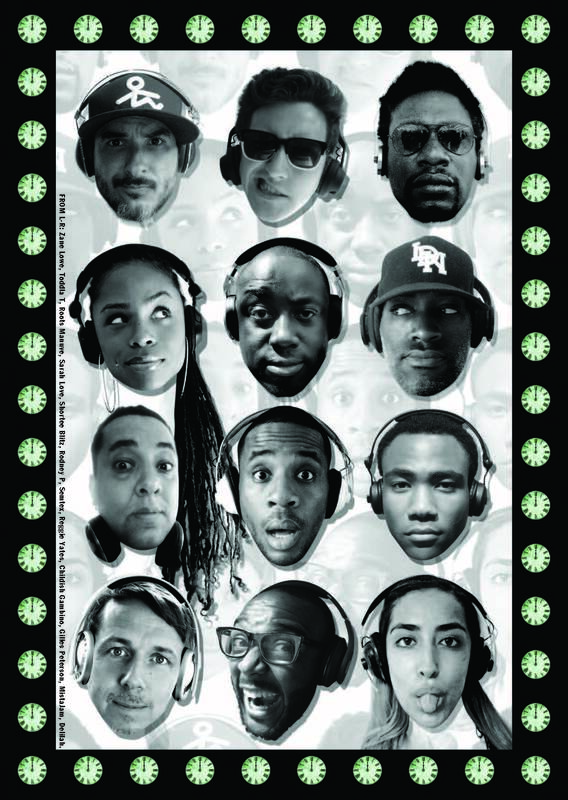 PPH presents: Beats Rhymes and Life | Here’s the poster! 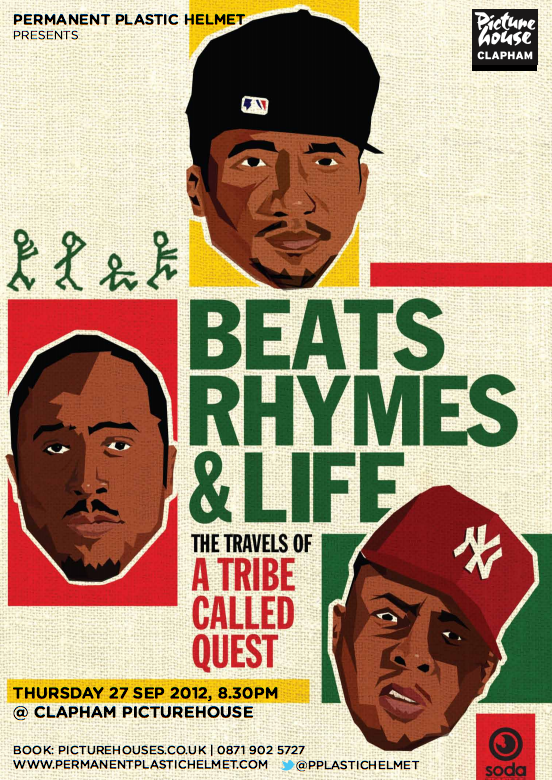 Now only two weeks away, our screening of Michael Rapaport’s cracking hip hop doc Beats Rhymes and Life: The Travels of A Tribe Called Quest at the Clapham Picturehouse is starting to cause some serious excitement around these parts. Join us on Thursday September 27 for the big event. You can – and how will you live with yourself if you don’t? 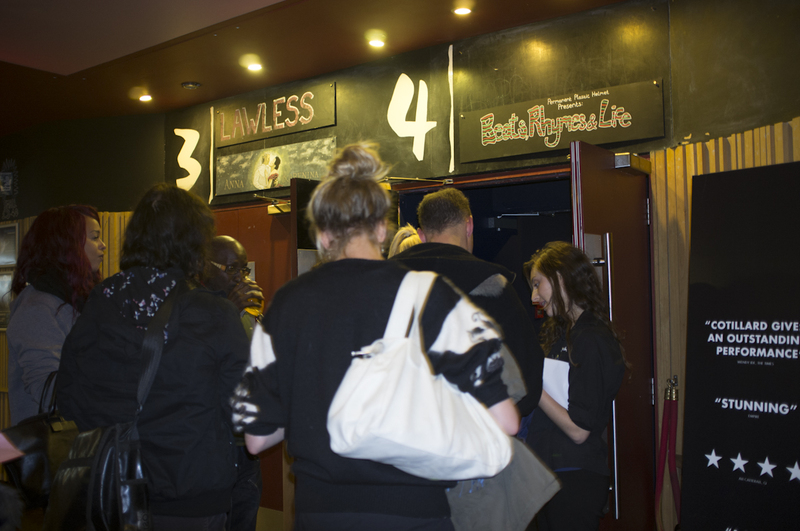 – book tickets by following this link. 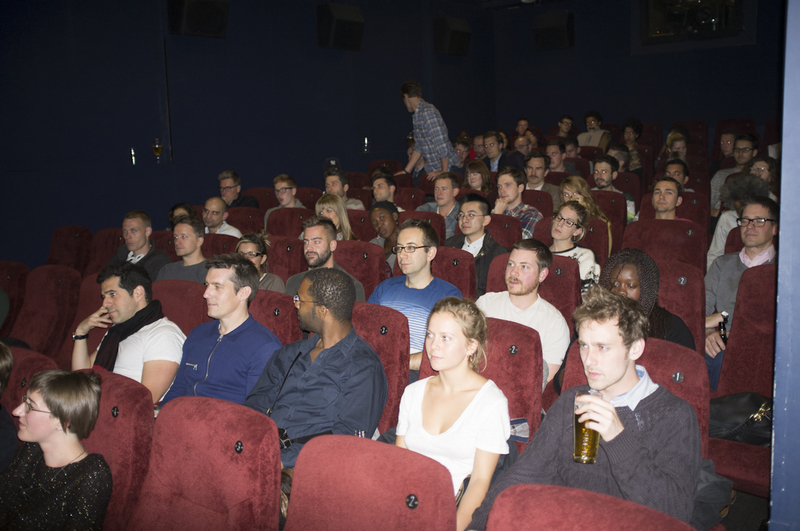 Our last event (a screening of Do The Right Thing) was a sell-out so book now to avoid disappointment. 10.15 More drinks in the bar! To whet your appetite further, here’s the lovely event poster; a joint effort between Soda Pictures and designer Piccia Neri. 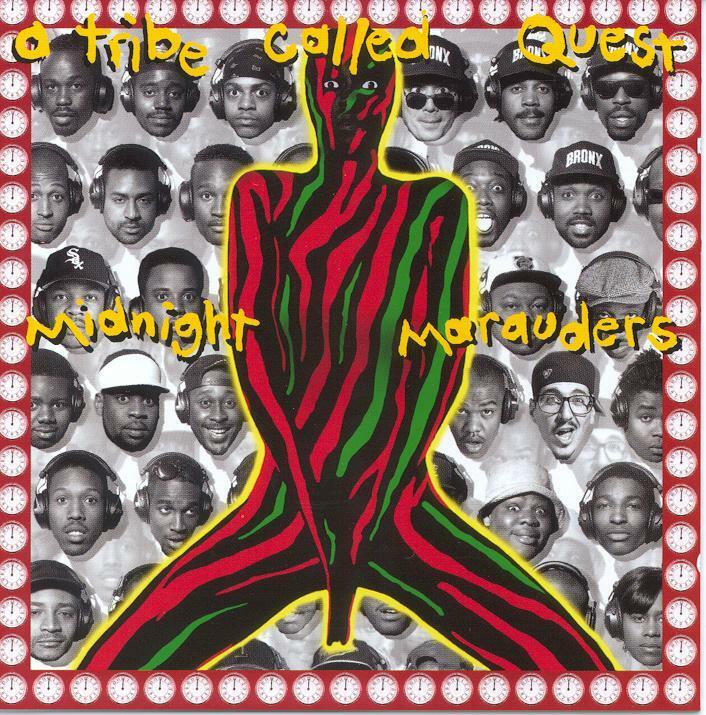 This entry was posted in Events and tagged A Tribe Called Quest, Clapham Picturehouse, documentary, event, film, Michael Rapaport, Thursday 27 Sep on September 13, 2012 by Ashley Clark. 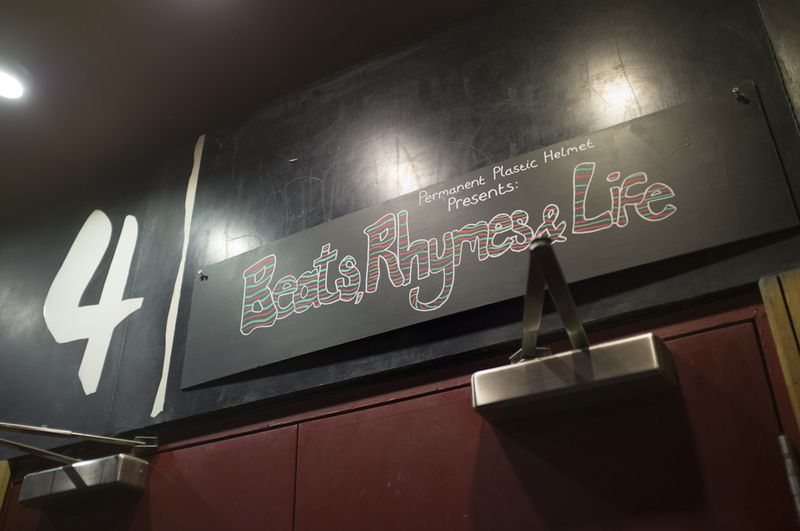 This entry was posted in Events and tagged A Tribe Called Quest, Beats Rhymes and Life, Clapham Picturehouse, Hip Hop, london, postcard, Soda Pictures, Thursday 27 Sep on August 28, 2012 by Ashley Clark. Hot on the heels of our last event – a packed screening of Spike Lee’s classic Do The Right Thing, we’re absolutely delighted to announce a rare screening of Michael Rapaport’s brilliant documentary about the hip-hop legends. The time and place? 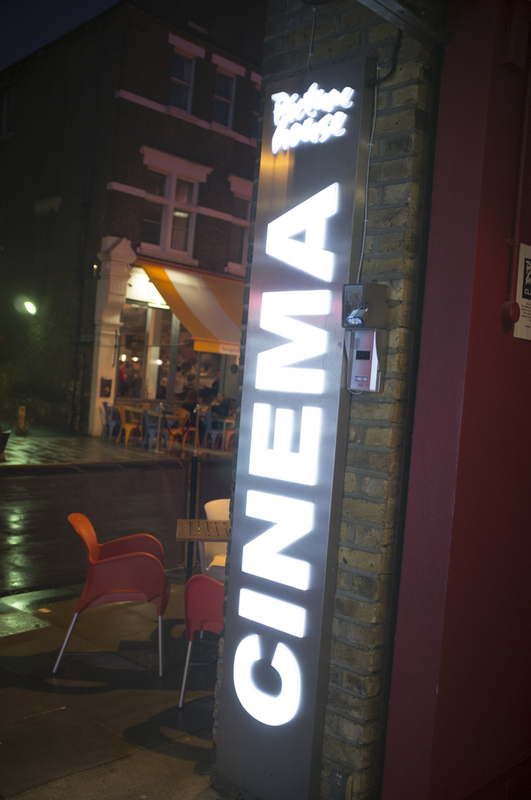 20:30 on Thursday 27 September at south London’s lovely Clapham Picturehouse. This all-access film focuses on the inner workings, personal relationships and behind the scenes drama that defines the band. No stone is left unturned, with a host of musical legends (including Kanye West, Common and Mos Def) on hand to pay tribute. 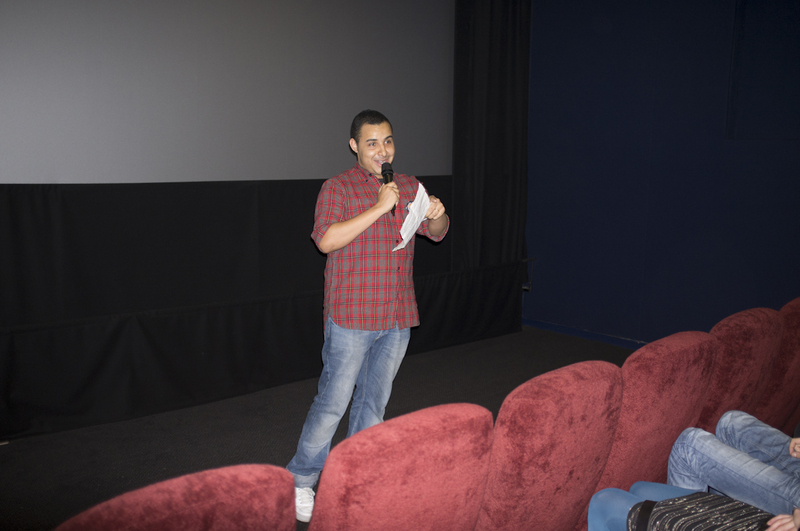 You won’t need to be a die-hard hip-hop head to enjoy this revealing, funny and finally very moving film. And don’t just take my word for it; the film currently holds a 91% fresh rating on aggregator website Rotten Tomatoes. Permanent Plastic Helmet would like to thank the lovely people at Soda Pictures for offering us the opportunity to put this screening on. 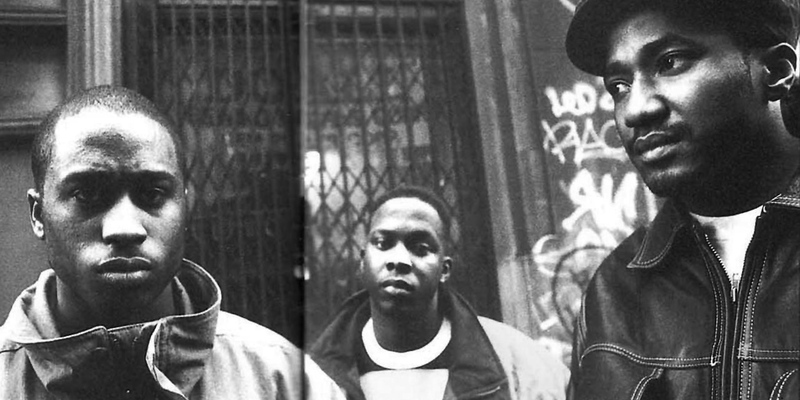 This entry was posted in Events and tagged A Tribe Called Quest, Clapham Picturehouse, documentary, Hip Hop, rap, rare, Soda Pictures, Thursday 27 Sep on August 20, 2012 by Ashley Clark.